Always prepare for your charter by thinking of these six essential points before booking. 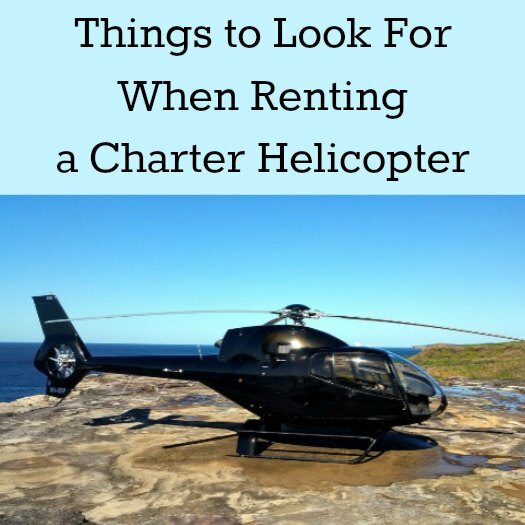 There are plenty of things to scream and shout about when renting a charter helicopter. One of the many great things about charters is that they are intelligently designed to cater for your individual needs. The fact they are also super adaptable is another benefit as no matter what your requirements, the pilot can personalise your travel. Really, the possibilities are endless. When flying by helicopter you not only get a five star view but you also get access to remote areas and parts of the city you would have never been able to access before. A helicopter flight in Sydney is the best way to view the stunning beach and harbour. You can land practically wherever you want, even private properties. So even though this route of travel is highly flexible, it’s still a good idea to plan things out in advance before renting your helicopter. For A-B transfers: If you are flying for pleasure or for business, you need to consider the logistics of your journey to ensure everything goes to plan. So consider your time, distance and location to ensure these don’t become hindrances down the line. When travelling by helicopter, it’s advisable to book well in advance to check if there is good availability for your date of travel. Think about numbers. It may be just you riding solo or it may be a group of you. This will effect which helicopter you end up renting on the day as big tour companies such as Sydney HeliTours offer a fleet of modern helicopters that cater to larger groups. So once again, getting things sorted well in advance and making the company aware in advance is recommended. Consider the type of helicopter you want to travel in. There are various models with different types of engines such as single &amp; double. Therefore, thinking about the weather conditions and the time of day you want to fly will affect your options. If you fly at night for example, companies will use twin engine helicopters as single engines are only used for flying in the day time. Is there a return route involved? Most people think about the departure but don’t consider whether a return trip is needed. Once again, booking in advance and knowing the date you want to return is highly recommended to ensure your travel goes smoothly via helicopter charter. It will also have a significant impact on the total price you are quoted. So to get a realistic price from the get-go, make sure you know all the details of your travel. The time of day will matter too. The hours a pilot is on duty or the operating times of the airfield/landing site will also affect your travel. Some landing sites are better for the daytime and others are better for night. So ensure you know for certain you’re to and from times to make the planning easier for the helicopter charter company. Will you need more than one pilot? This may depend on your insurance policy or peace of mind. Definitely something worth looking into before you book your charter. Overall, there can be quite a lot to consider when booking your helicopter flights. Keeping the above in mind on top of doing your own research will ensure you cover all bases and make your travel seamless.